Minwon has been unlocking and orchestrating her clients’ beauty potential for just shy of 20 years as a stylist, and for eight of those years in Ann Arbor, Michigan, as a salon owner. Equally proficient working with classic or fashion forward client preferences, she has maintained a watchful eye on hairstyle trends through continuous training from Vidal Sassoon, Toni and Guy, L’oreal, and Aveda, among others. Minwon is certified in the Curly Girl method from DevaCurl in which she cuts curls dry, working with the natural curl pattern to create a flattering and attractive shape. She then follows with cleansing and hydration, offering hair detoxes and moisture treatments where appropriate. This is followed by a styling lesson where she gives expert product advice while teaching guests how to achieve great results at home. 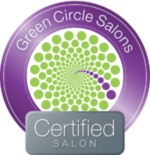 Minwon cherishes building constructive relationships with clients by listening, inspiring, and teaching – with a belief that clients should walk out of the salon feeling refreshed, beautiful, and confident. She specializes in multi-color highlighting, updos + makeup, creating soft texture waves, magic straight, and modern mens’ haircuts. When she puts her scissors down Minwon treasures day trips, animated movies, and anything with noodles with her three year old daughter.